It's that time of year again. Time for us to delve even deeper into the bush and deliver for your style hungry delectation another cottage in need of our loving touch. And, take it from us -- this time we've really gone crazy. We dare you to take a walk on the wild side and tune in. Yup,Colin and Justin's Cabin Pressure is back. Seriously? Is it really an entire year since we showcased, in these virtual pages, our Cabin Pressure Season 2 run down Haliburton shack? Where does the time go? Over 13 weeks, last year, we revealed the refurbishment of that cabin, whilst at the same time challenging your retinas with some particularly gruesome pre reno' photography. Before, ahem, thrilling you (we hope) with a host of eye popping after shots that charted the rebirth of our beloved home from home. So now it's that time of year again. Time for us to delve even deeper into the bush and deliver for your style hungry delectation another cottage in need of our loving touch. And, take it from us -- this time we've really gone crazy. We dare you to take a walk on the wild side and tune in. Yup,Colin and Justin's Cabin Pressure is back. It's Season 3, and we mean business. For Season 2, as you may recall, we bought a bag of rotten bones in Haliburton and, during a three-month build, turned serious restorative tricks. The result? "Grey Gardens," our own piece of paradise in cottage country and the bolthole to which we escape almost every weekend we're in Canada -- come hail, rain or shine. Or indeed snow. Friends who visited would suggest it seemed sad there are periods when we're not there due to our TV schedule in Britain and Australia. Shouldn't we consider renting it out, they opined, to derive a secondary income stream whilst allowing others to enjoy a little lakeside magic? But we've always been somewhat private. It's all very well showcasing our wee cabin on television -- and we love when friends stay -- but, off camera, our wee cabin is our private world. As such, renting it out was never going to be an option. But the chatter made us appraise whether it might make sound business sense to fix up a place for the rental market. And then fate played its hand. At the end of last summer a chance introduction to a couple on our lake (Drag) opened an interesting dialogue. They were thinking of selling but hoped to avoid the associated costs of using a realtor. We were keen to buy. We baulked, however, when we saw the cabin (they'd been visiting less and the elements had taken their toll) but we saw potential. A deal was struck shortly thereafter. So we started planning. The network was keen to go again so it was a no brainer. They liked the idea of a show that would appeal to the rental sector. And so did we. We were up and running. Our "nervous wreck," witnessed in our before photography as we found it, was a 1980s Viceroy. In most developers hands it would have been fodder for bulldozing, but we prefer to save houses rather than raze them. Not for us the prospect of building some faceless McMansion. But on whom could we rely to transform the heaving mess into a gorgeous, rustic retreat? None other than Randy Blain. General Contractor extraordinaire, and our night in shining armor from Season Two. 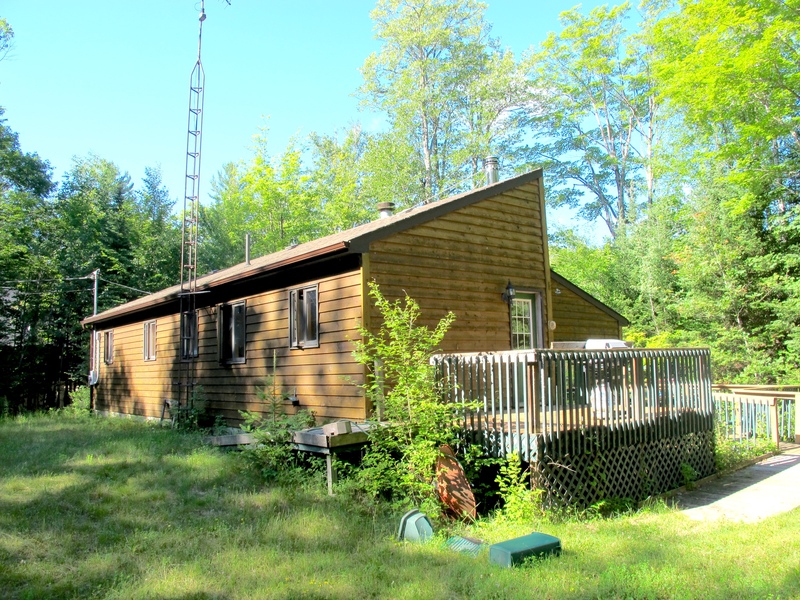 We plan on transforming the 1,100 square feet shack into a 4,000 square feet luxury retreat. 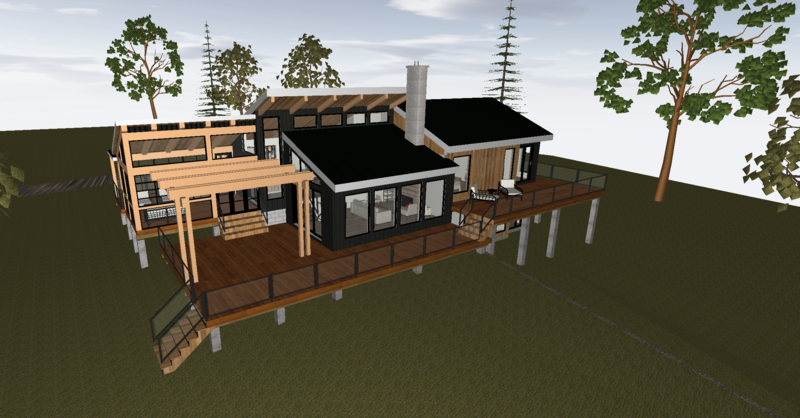 With six bedrooms, (two in a log built ancillary bunkie) four bathrooms, three living rooms, a chefs kitchen, a three level dock, a 2,000 square feet Western Red Cedar deck and an entire outdoor spa. Ambitious? Certainly -- but ambition drives us. Summonsed to calculate our project's scale, Randy winced. Sure, he could do it, but he had lots on. As such, and to make it work, Mr B suggested we draught in extra resources. He mooted Discovery Dream Homes, a team with whom we'd all worked last season. It was they, after all, who constructed the widely adored sunroom at Grey Gardens. Being a full service builder, Discovery could adeptly take on a share of the project. Randy would remain as our principal GC, and he'd manage the site and all various players. To translate our vision, Discovery came onboard to pen our entire project drawings, and to submit plans to the township for approval. They also undertook the framework construction of this years sunroom, as well as a separate log built guest wing, which was erected as a subcontract with Mason Brothers Construction, a Toronto based company with whom we'd also previously worked. Cue Shawn Hunter, Discovery's Director of Design, and his colleague (and the company's Architectural Designer) Nicole Sokol. The talented duo used animated 3D computer graphics, a state of the art package that allowed us to 'walk' through the 'redeveloped' house before work had even begun. 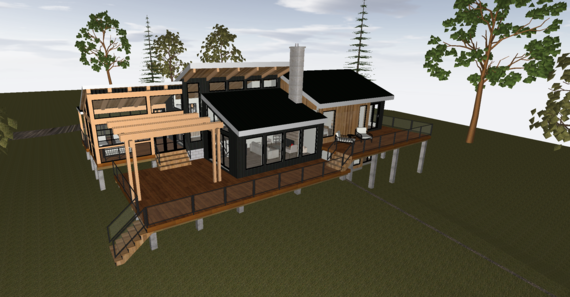 Shaun and Nicole's "virtual modeling" skills blew us away: the duo's assistance with structural issues was second to none and, as an invaluable design conduit between Randy and all other team players, they delivered more than we ever expected. We don't want to give the game away before going to air, but we thought it'd be interesting for you guys to appraise the drawings, fully rendered, by Discovery Dream Homes. Pretty impressive, huh? To witness our full armory of before and after photography, check back here each week where you'll find a rolling description of each episode. Colin and Justin's Cabin Pressure airs Sundays, 9 p.m., on Cottage Life. The network is currently in free preview. Check listings for details.